"Show me again, the power of the darkness." The best way to survive enemy fire is to avoid it entirely. Stalk your prey from a distance and come in fast. 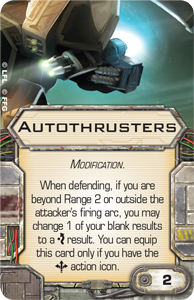 Race through their blind spot—and gun them down at point-blank range before they ever fire a shot. Here, a pilot's talent and natural instinct go a long way, but so do the speed and agility of the ship he or she is flying. And there are times when even the galaxy's greatest pilots may find it difficult to surprise their foes—at those times, it helps to have a sturdy hull and shields. Tech, talent, speed, agility, hull, shields, and firepower—this is the magical alchemy that allows a starfighter pilot to grow old and become a living legend. 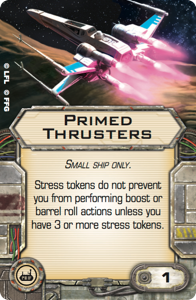 It's also the magical formula behind the design of the TIE Silencer Expansion Pack for X-Wing™! An angular ship that recalls the TIE Advanced and TIE interceptor designs that preceded it, the TIE silencer is a deadly starfighter that doesn't just look menacing. It packs tremendous firepower with incredible speed and handling. 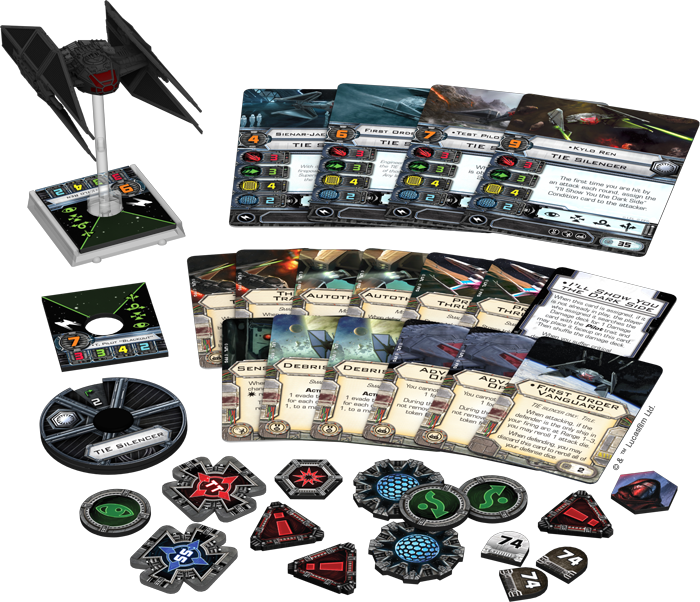 In X-Wing, the TIE silencer represents this combination of speed, handling, and firepower with a combination of three attack dice, an agility value of three, and a maneuver dial loaded with green maneuvers, Tallon Rolls at speed 3, and a Koiogran-turn at speed 4. Much like the TIE interceptor that inspired it, this is a ship that can move, and much like the TIE Advanced, it's loaded with all the latest technology. 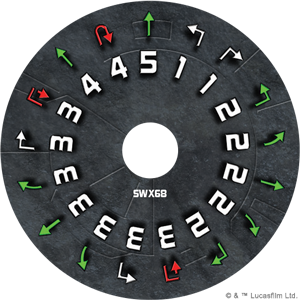 As the game's developers have previously noted, a ship's identity begins with its maneuver dial, but quickly branches out in a number of directions. 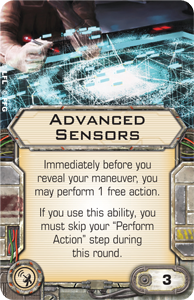 The raw statistics for attack, agility, hull, and shield are an important part of the mix, but they aren't necessarily the attributes that most define the way a ship "feels" on the table. 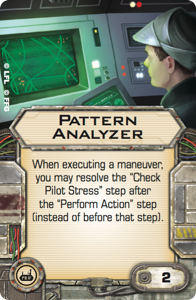 After the maneuver dial, the most defining elements of any given ship are likely its action and upgrade bars. 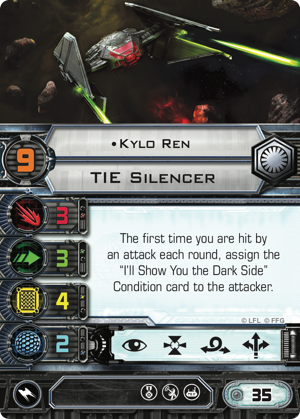 Here, the TIE silencer introduces several standard "arc dodger" actions—boost, barrel roll, focus, and target lock—alongside the unique combination of tech and system upgrade slots. 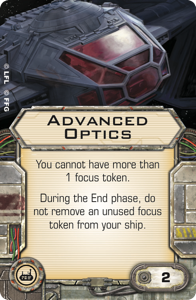 This makes the ship feel like something we already know and understand, but opens the doors for a great deal of exploration—especially as the tech and system upgrade slots continue to receive new support, even in the TIE Silencer Expansion Pack. The TIE silencer's combination of tech and system upgrade slots affords a wide range of possible roles for the ship within your squadron—although nearly all of them require expert piloting to meet their full potential. 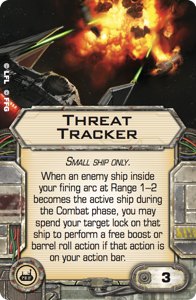 As bombs, mines, and debris tokens have made the X-Wing battlefield a more difficult place to navigate than ever before, the TIE silencer's ability to pair the Advanced Sensors system upgrade with either the Pattern Analyzer or the Primed Thrusters tech upgrades means its pilots have more ability to react to nearby obstacles and explosions than they would in any other ship. Even while they're stressed—or after they execute the challenging Tallon Roll maneuver—these talented pilots can continue their single-minded pursuit of their prey while boosting or barrel rolling away from danger. 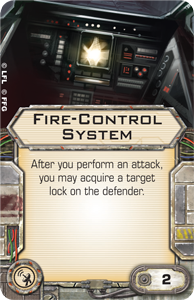 Alternatively, pilots as skilled as Kylo Ren might consider equipping their TIE silencers with a Fire-Control System and the new tech upgrade, Threat Tracker . 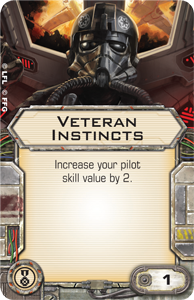 At a pilot skill value of 11 with Veteran Instincts, Kylo Ren could use these upgrades to race straight at the enemy, fire first, acquire a target lock, and then use that target lock to slip out of his enemy's firing arc as soon as that ship becomes active in the Combat phase. 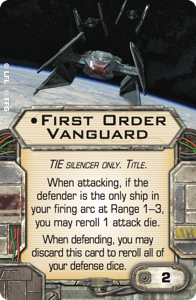 Better yet, if Kylo Ren's ship were outfitted with the unique First Order Vanguard Title, he'd still be able to reroll one of his attack dice, despite deciding to use the target lock defensively. 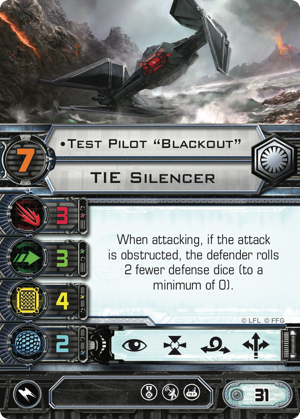 At a pilot skill value of 7, the expansion's second ace—the Test Pilot "Blackout" —might not be able to rely on the same arc dodging potential, but he'll definitely be able to showcase the TIE silencer's abilities according to his own talents. You'll likely want to fly Test Pilot "Blackout" in a fighter equipped with Advanced Sensors and either Pattern Analyzer, Primed Thrusters, or Advanced Optics . Outfitted in this fashion, "Blackout" is the king of flying through obstacles. 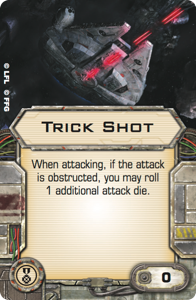 He can slip in behind an asteroid, gain an extra defense die against his opponent's shots, and then subtract two defense dice from their rolls against his attacks. After executing his maneuver, Test Pilot "Blackout" performs a barrel roll to ensure the shots he exchanges with Jess Pava are obstructed. Thanks to his unique talent, "Blackout" can expect he'll get the better of the exchange, gaining an extra die to his defense and denying Jess two of hers. 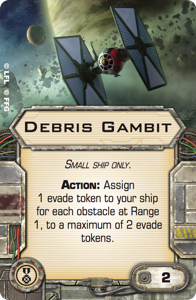 Since he wants to slip between the rocks every round, "Blackout" is bound to be one of the trickier ships to fly, but the potential advantages are wild—especially when you imagine his ability to gain another attack die with Trick Shot or to gain extra evade tokens with Debris Gambit . 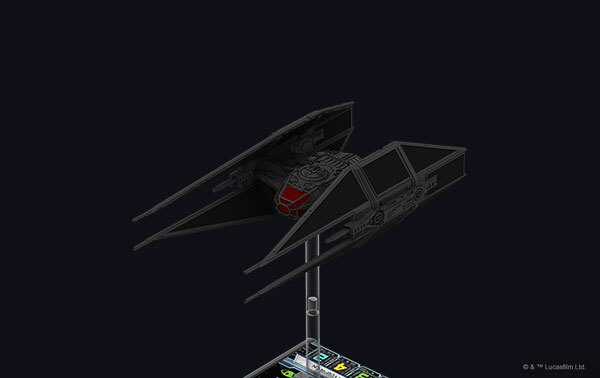 Although it's technically a small-base ship, the TIE silencer is too long and large a miniature to fit in a standard small-base ship's packaging. And just as it's too large to be contained by standard, small-base plastic, it's too impactful a ship to be contained by standard enemy forces. With its powerful attack, nearly limitless squad-building potential, and talented pilots, the TIE silencer is bound to leave its mark on your X-Wing battles. You will recognize it by the trail of exploded enemies it leaves in its wake. 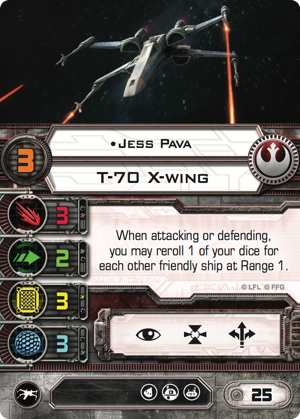 Make sure you're on the right end of the TIE silencer's powerful laser cannons when X-Wing Wave XIII arrives at retailers. 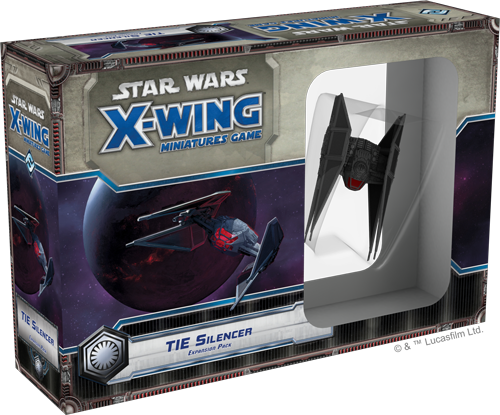 Head to your local retailer today to pre-order your copy of the TIE Silencer Expansion Pack (SWX68), or click here to pre-order your copy through our webstore!